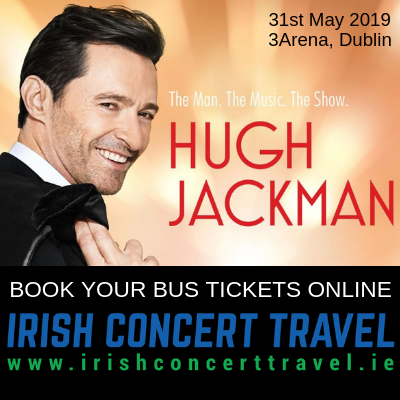 Hugh Jackman will kick off his World in May 2019, visiting the 3Arena Dublin on the 30th of May 2019. 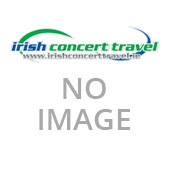 This will be Hugh Jackmans first world tour and it is called “The Man. The Music. The Show.” The tour will see Jackman performing hit songs from The Greatest Showman, Les Miserables and more from Broadway and film, accompanied by a live orchestra. Book your return bus tickets online below. This is a scheduled, same day return concert bus service. 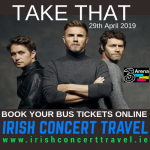 All passengers will be dropped off and collected in the same location a short walking distance from the 3Arena. 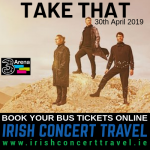 This service will depart Dublin 30 minutes after the concert ends.